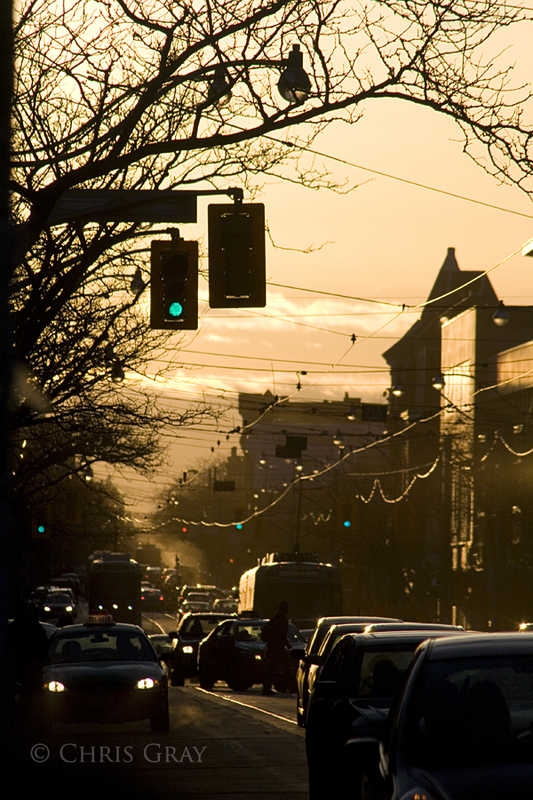 Another shot of Queen Street at sunset. 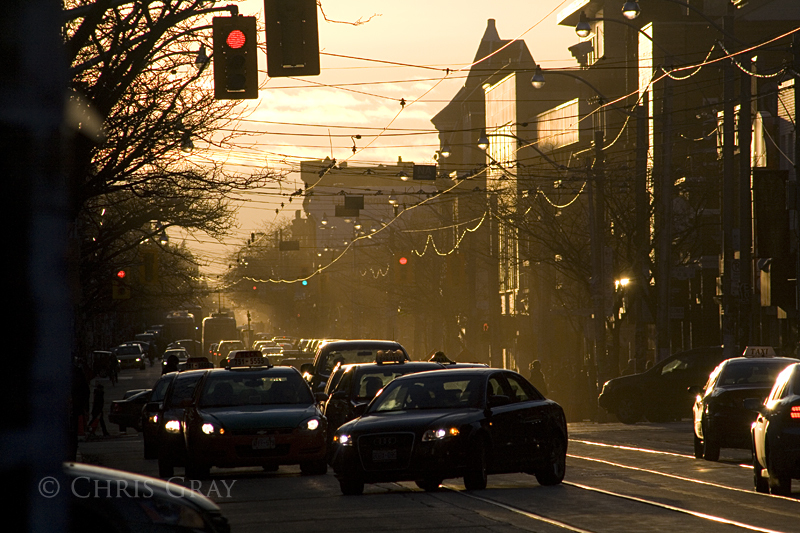 From Queen and John - straight out of camera. This church, St. George the Martyr Anglican, was built in 1844, and suffered a disastrous fire in 1955, according to this webpage. 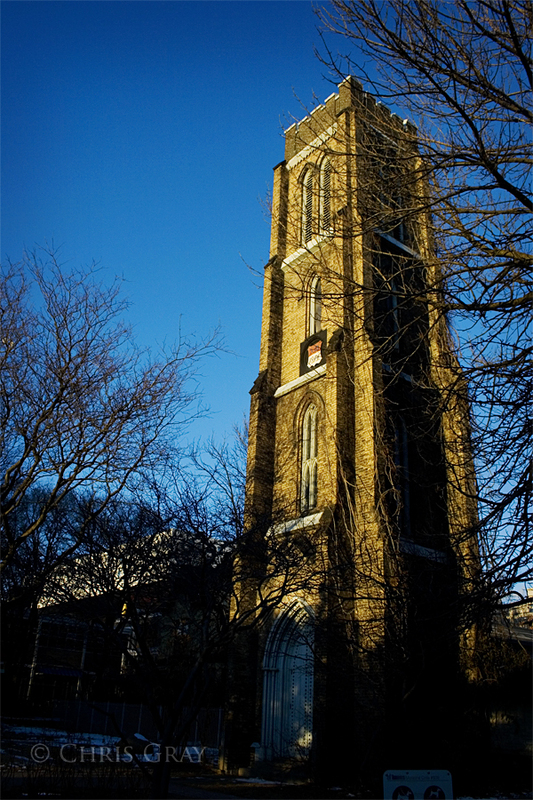 The only part that survived was this tower - the rest of the church was severely damaged, and much was rebuilt. The church is around the corner from my work, so I get to walk by this periodically on my trips out at lunchtime. 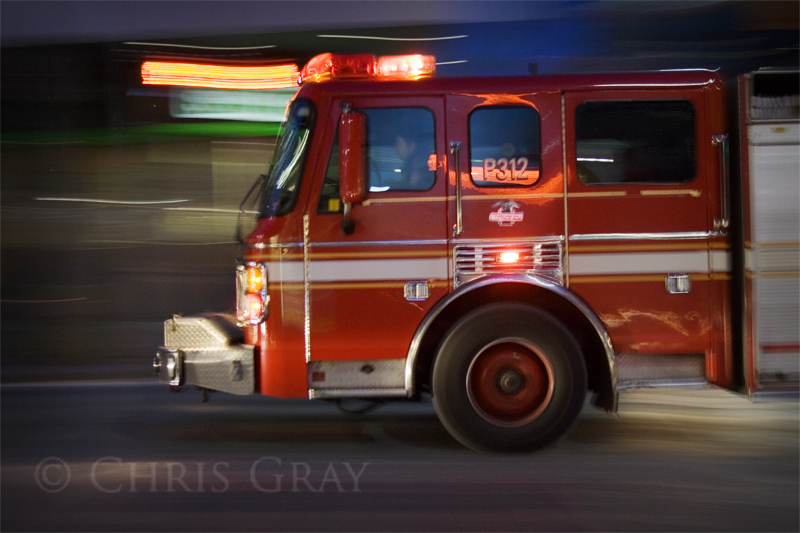 This pumper truck raced past me the other night with flashing lights and screaming sirens. 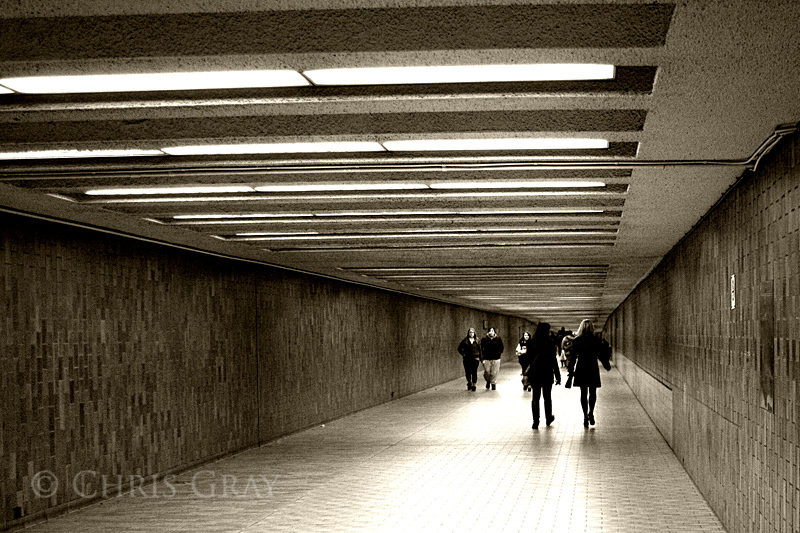 How quintessentially seventies are the tunnels in Spadina Station? It's incredibly evocative of the era, and every time I go through there, I feel like I'm back in high school, exploring the city via the subway system. Spadina Station was opened in two parts - the first in 1966, servicing the Bloor Line, and the rest in 1978, servicing the Yonge Line. You can see the different tiles on the left side of the picture, where the moving walkways used to be - according to Wikipedia, these were removed in 2004.